Wolves are very diverse animals, which is why they have a habitat that is very spread out around the world. It isn’t true that they only live in very thick forests and come out at night. Wolves have been identified in many areas that you may not ever imagine them being able to survive. Their versatility is amazing and it has helped them to survive in spite of their status as an endangered animal. Some species of wolves only live in the United States in forests and other areas where animals are plentiful for them to consume due to their dietary needs. Others live in the cold regions of the Arctic where there is hardly any other animals surviving there due to the bitter cold. They are able to live with large animals including bears, elk, and moose. There are wolves found in the mountain ranges of Colorado thanks to some reintroduction programs along the Rockies that have been very successful. Regardless of the location, these animals need to have room to roam around. Their home range can be from 33 to 6,200 km2. It will depend on the type of wolf and where they happen to reside. Research has found evidence of wolves living all along the Northern Hemisphere even though they don’t have very large numbers. They can be found along the plains, in the savannah deserts of Africa, and in forests that have both hardwood and softwood. As long as their basic needs are met they are able to survive. They are also able to adapt and to move into new territory if that is necessary for them to survive. 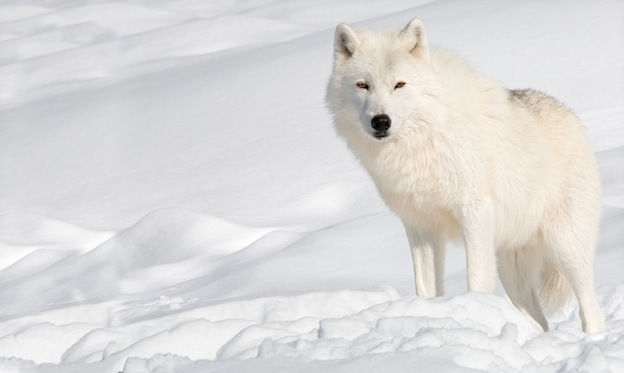 Most of the wolves left in the world today are found living on the frozen tundra of Alaska and Canada. Here they have the ability to live in remote areas and not be bothered like they are in other places where humans are more likely to settle. Even so, it doesn’t mean they aren’t in jeopardy due to a lack of food. Hunters go to those areas as well in the hopes of being able to successfully kill wolves. Wolves spend about 8 or 10 hours every day moving through their home range. It is rare that they will stay in one place for too long of a period of time. They mark their habitat with urine as well as a scent that comes from glands in their tails. These markers are to let other wolves know that such territory has already been claimed. It is common for the habitat of a pack of wolves to overlap with that of other packs. Generally this is very peaceful with the different packs avoiding each other. However, when the size of the habitat is reduced and when food is hard to find they can become more aggressive towards each other. The leading reason why wolves out there today continue to have a hard time surviving comes down to the fact that their habitat is being destroyed. People continue to want more land to place their homes on or their ranches. Businesses continue to tear down the areas that these animals inhabit. Without a vast habitat for them to live in they struggle to find enough food for survival. That is why they seem to be attacking more domesticated animals. They need a source of food and when that is placed in front of them, they aren’t able to differentiate between that and what nature offers them. Wolves have a bad reputation of being destructive but when you view the whole picture you will see that humans are the ones responsible for taking away their habitat.